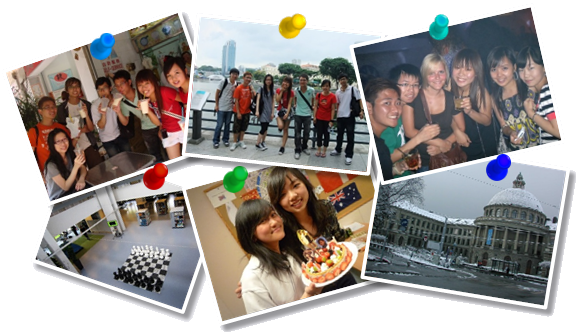 Among the many benefits from an exchange program is the opportunity to broaden the participant's horizon, not only in academics, but also in cultural diversity and in experiencing the ever-increasing world flatness. Perhaps, once in a lifetime, to be independent, to have a few months to roam freely in a world famous city far away from home, that is more than a tour package can offer. Be it soaking in the California sunshine, bombarding subatomic particles in an underground lab, travelling in the eurorail, talking to famous scholars, drinking beer in Germany or taking a hike on the steps of the Great Wall and much more, those could be experiences where your future ideas may come. Write your journey like Marco Polo, then bring back what you learn and use them in your study or job interviews. To find out more, please refer to this website. Below are places where our students have gone for exchange.